Congrats Card with this Smart Puppy! Do you have any more graduation parties to go to? Our neighborhood has been filled with them the last few weeks! This sweet Congrats card by Crafty Math-Chick would be perfect to give to a grad! 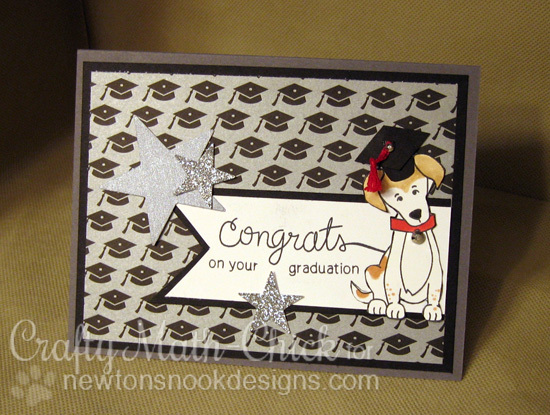 She used our cute little image of the labrador from our Fetching Friendship stamp set and added an adorable little handmade graduation cap for his head - Don't you just love the little tassel? Then she added in the fun "congrats on your graduation" sentiment using words from our popular Simply Sentimental stamp set. Then she paired these images with the perfect graduation hat paper and some glittery stars! I love how the color combo is mostly silver and black with just a slight touch of red! You could change the accent color to match the graduates school colors too! Have you checked out our latest challenge? 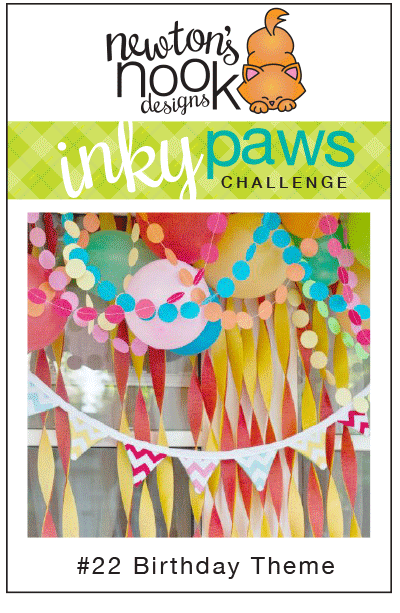 You have until Friday, July 10th at Midnight CST time to enter our current inky Paws Challenge. 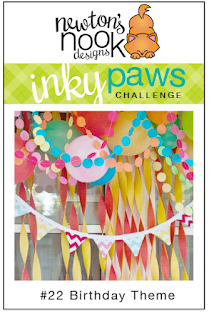 All you need to do is create a card or project using a Birthday theme & NND products!